This is a street art installation and photography art project called “Little People Project”. 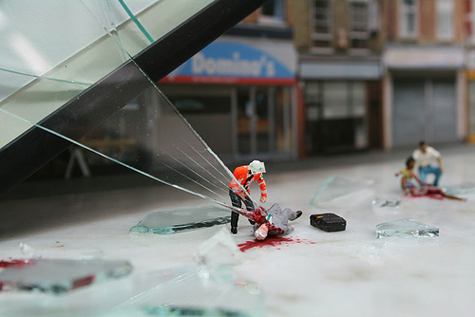 The artist, Slinkachu, sets up these miniature scenes on the streets and leaves them hoping passer-byes will become more aware of their surroundings. These installations portrait messages of being lonely or lost, but also have a humorous tone. 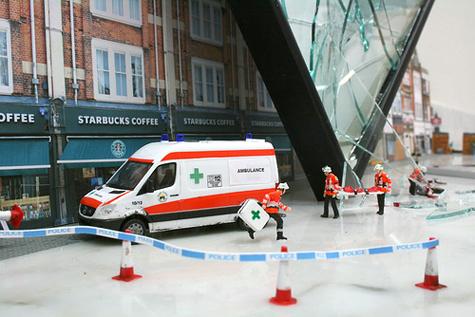 I love the line of Starbucks coffee houses in this installation. Wonderful work by an artist that goes by the name of Slinkachu. 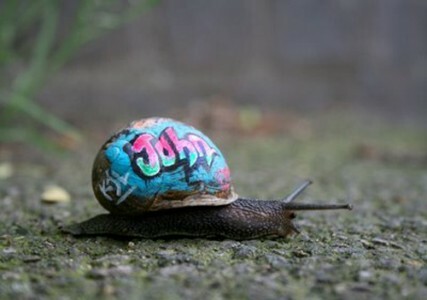 The best thing about this is that non toxic paint was used on the snail, so glad to see we can be artistic and green at the same time.